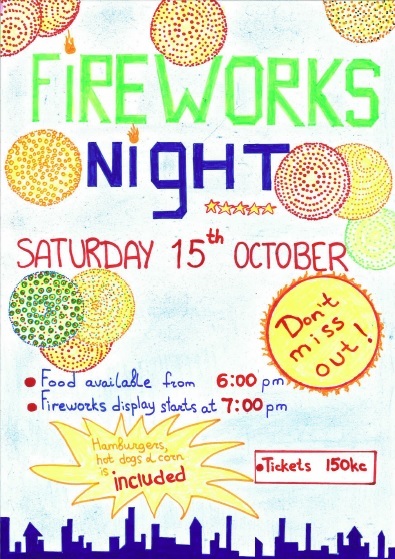 We would like to invite you to our Fireworks Nigh on Saturday 15th October at the Primary School. 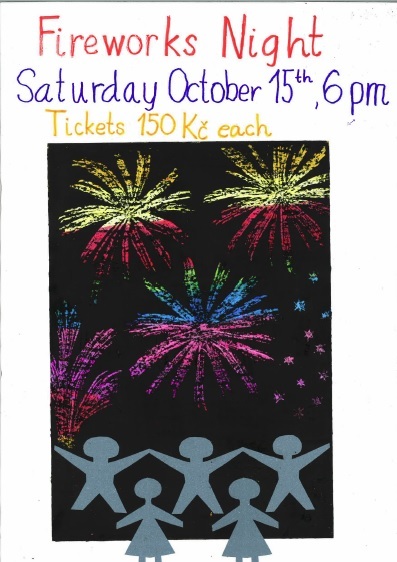 The refreshments will be served from 6pm and the fireworks will start at 7pm. 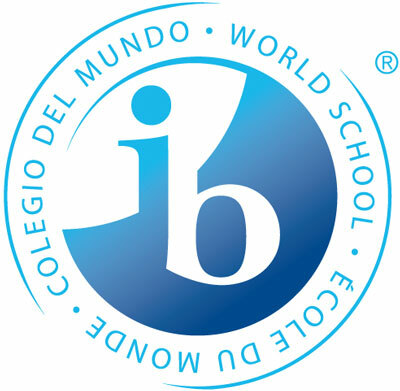 You can now buy your tickets at all school offices for 150,-Kč per person. A hamburger, or a hot Dog and a piece of corn are included in the price of the ticket. 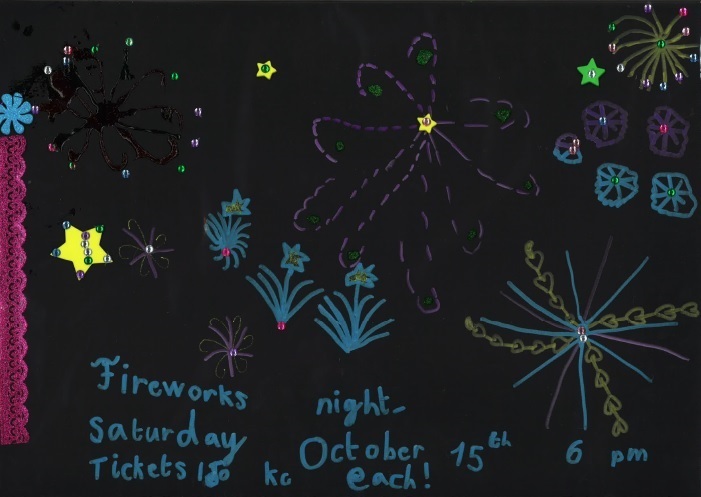 Here are the three winning posters from the Fireworks Night Poster Competition. Congratulations to the winners and thank you to all who participated!